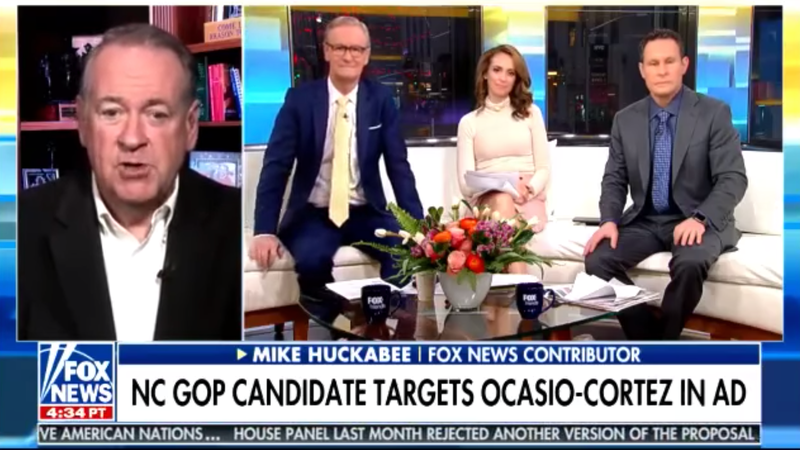 Former governor, failed presidential candidate, failed presidential candidate again, and current Fox News goober Mike Huckabee joined the the geniuses at Fox and Friends on Thursday to discuss Alexandria Ocasio-Cortez. What did they have to say about the congresswoman from Queens? “Somebody’s writing her questions. I saw the questions at [the Michael Cohen hearing], saw the questions at [the Wilbur Ross hearing]. There are some forces behind her. I think there’s a story there,” Kilmeade said. “There very well could be. There have been some allegations she was almost like the Manchurian Candidate; recruited, prepared. I don’t know!” Huckabee responded.